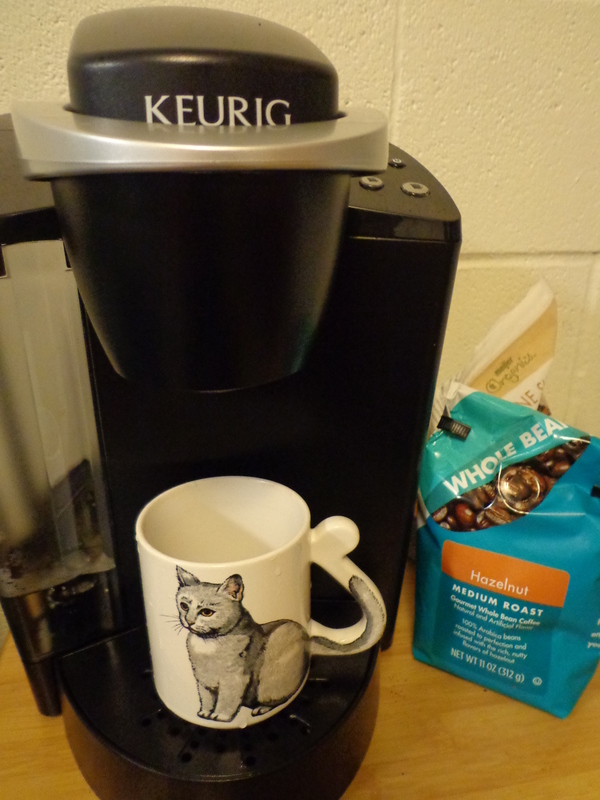 Cats and coffee and Keurig! I’ve finally joined the world of coffee drinkers this semester. I’m not to the point where I go crazy if I don’t have coffee, but I generally drink two or three glasses a day thanks to this super speedy Keurig. My boyfriend got it a few weeks ago using some gift cards he won at work. 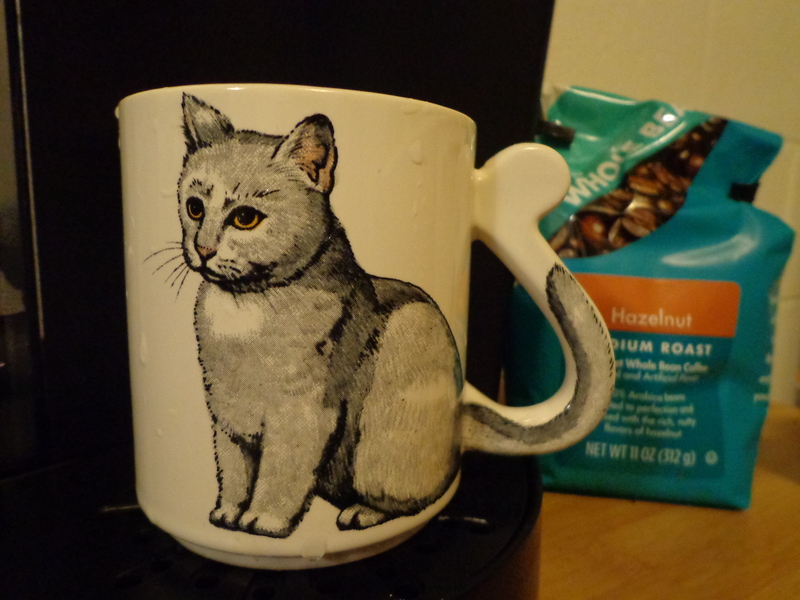 Isn’t this coffee mug adorable?! I brought this back to school with me from home, since no one there uses it. It’s at least 10 years old, probably older. Its stubby front legs make me laugh. In other news, I started a new job this past week, I really need to get going on an econ paper, and it looks like I’ll be attending Daegu Haany University in South Korea next Spring (assuming North Korea doesn’t go crazy on everybody before then). I’m finally starting the blanket that I bought the yarn for a long time ago! Originally I was going to knit it, but crochet is sooo much faster. I have about 8 squares finished so far. This yarn is SO soft. Like, amazingly so. Rather than having a plan, I’m just going to crochet these squares until I run out of gray yarn. After that, I will decide how much more yarn I need in a second color in order to make the blanket big enough. Maybe a dark red color? I’m using a Michael’s brand yarn, so I’m waiting until they have some kind of special yarn event or a “25% off your entire order” deals to buy more. By the time I finish the blanket it will probably be getting warm outside, but I don’t mind. I have a box of scrap fabric. Some of it’s leftover from material I bought, but a lot of it is from old clothes. These two projects were really easy and fast to do. I used an old sweater dress, so they’re also really soft. This wallet is really cute, but not really practical because this fabric is SUPER stretchy. I mostly made it for practice. I might remake a larger version with stiffer fabric for use as a clutch or something. The opening flap tucks underneath the bow! How handy is that?! 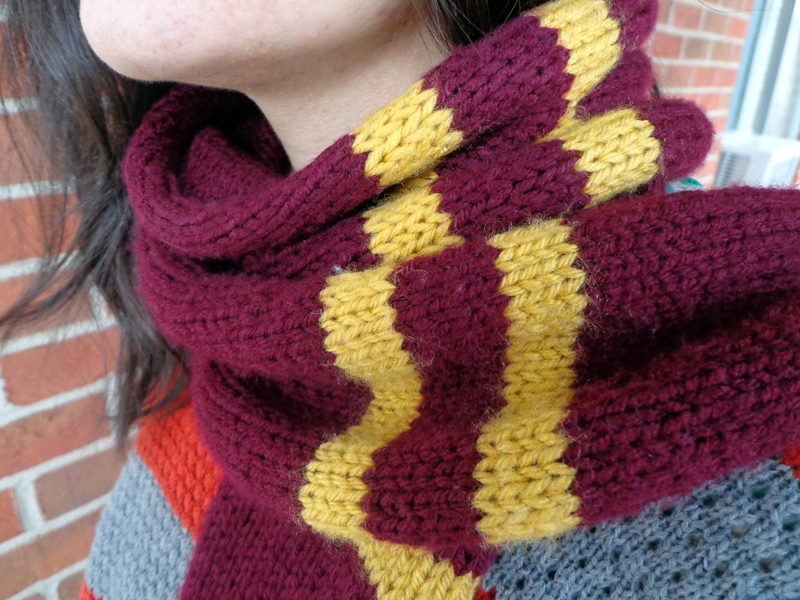 For the infinity scarf, I used four long strips of fabric and sewed hem into a tube. 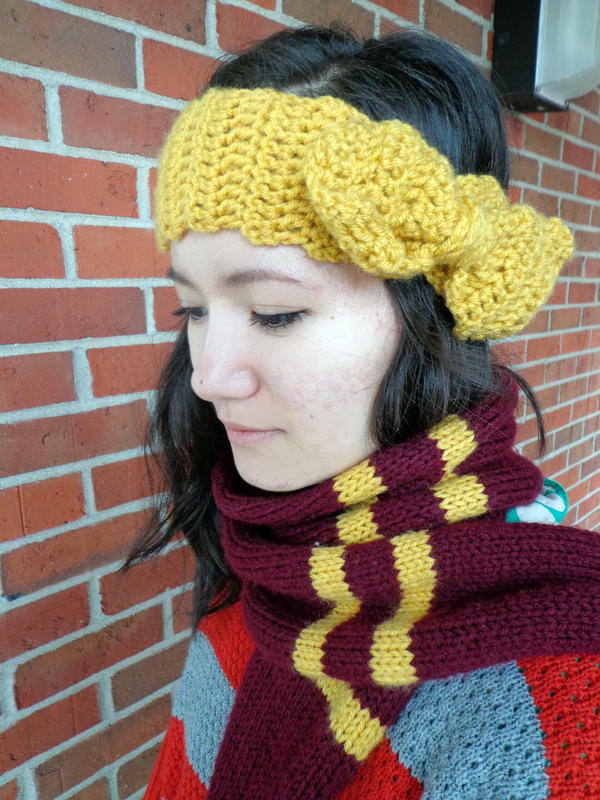 I made it small enough so that it would stay gathered right against my neck to keep me warm. It also turns out to be THE PERFECT SIZE to wear as a headband/ear warmer. I didn’t plan that at all. I wish the rest of my life would happen like that lol. 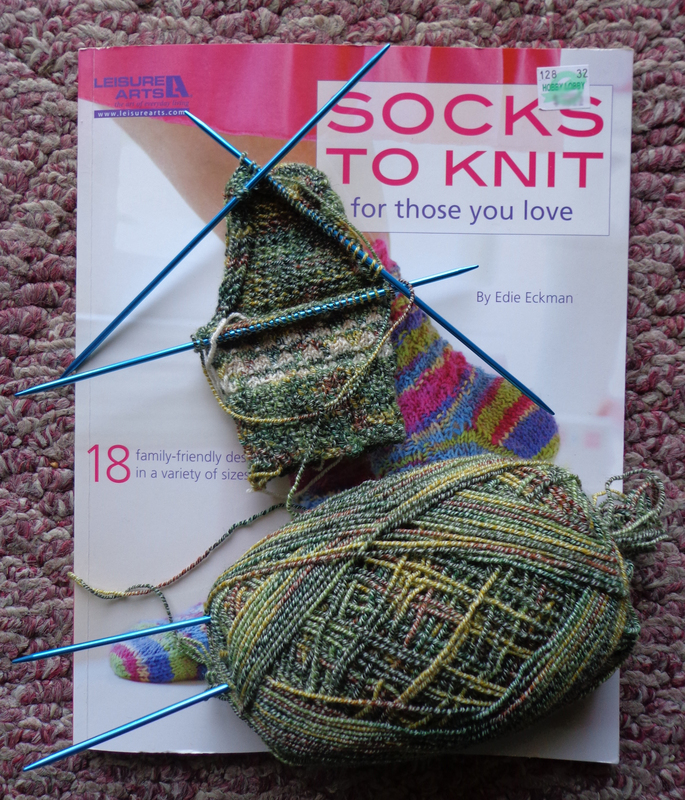 After getting some sock knitting supplies for Christmas, I’ve been working on making these socks. 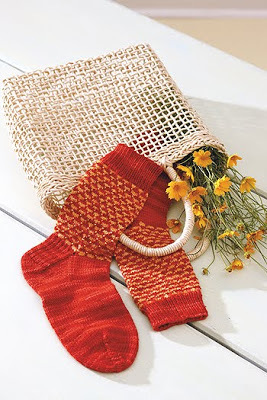 This is the bright tweed pattern by Edie Eckman. This picture was taken during Christmas break. 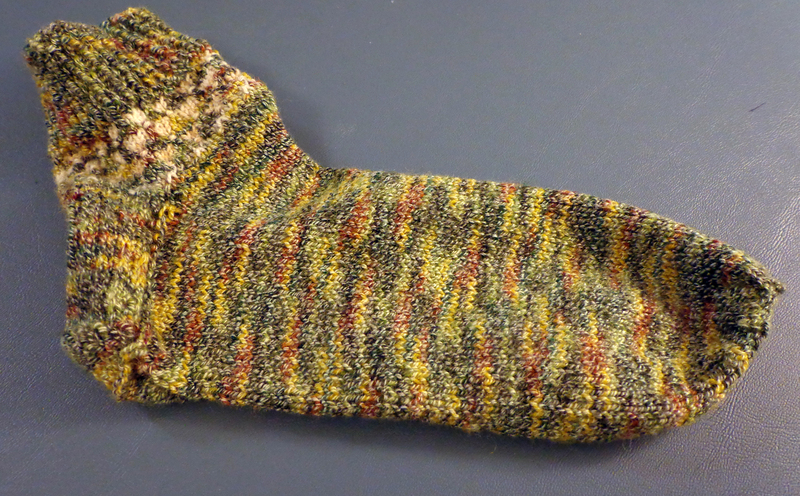 After making the cuff and heel, I got stuck at the instep and set the whole thing down for over a month. Until now! I’ve been working on this baby off and on for a few weeks, and have finally finished it. There are only a few problems with it. 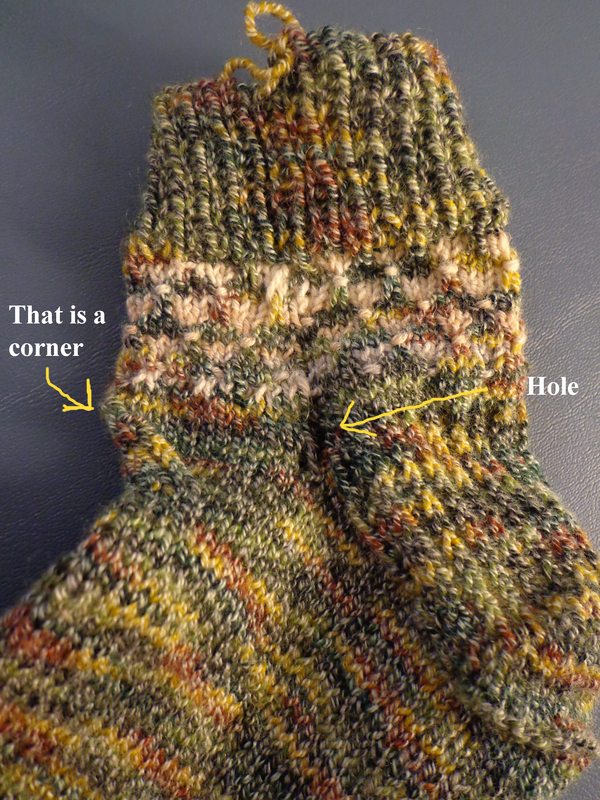 The biggest issue is that I didn’t mark the beginning of the row, and managed to knit this weird little corner on the top of the sock. I think the whole body is rotated, but the rest of the heel looks pretty normal. Other than the two holes, that is. There are also these holes and a dropped stitch, which I stitched down so it wouldn’t cause a run. 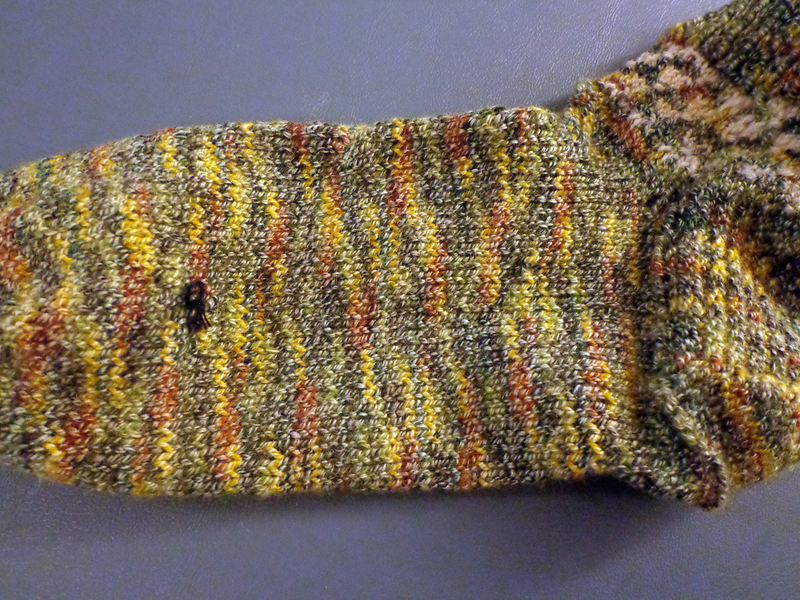 Overall, this sock turned out better than I hoped, and it actually fits! So if I need a holey, single mate sock one morning, I’ll always have one I guess. hahaha. Some projects take five minutes, and others a year. This scarf is one of those that takes a year. I started it around Valentine’s Day last year, and decided to finish it as I was reorganizing my yarn stash this week. The main reason I put off finishing it was because I ran out of maroon. I had to use yellow to finish tying off the last few stitches. Originally, it was going to be longer, but I think six and a half feet is long enough, don’t you? 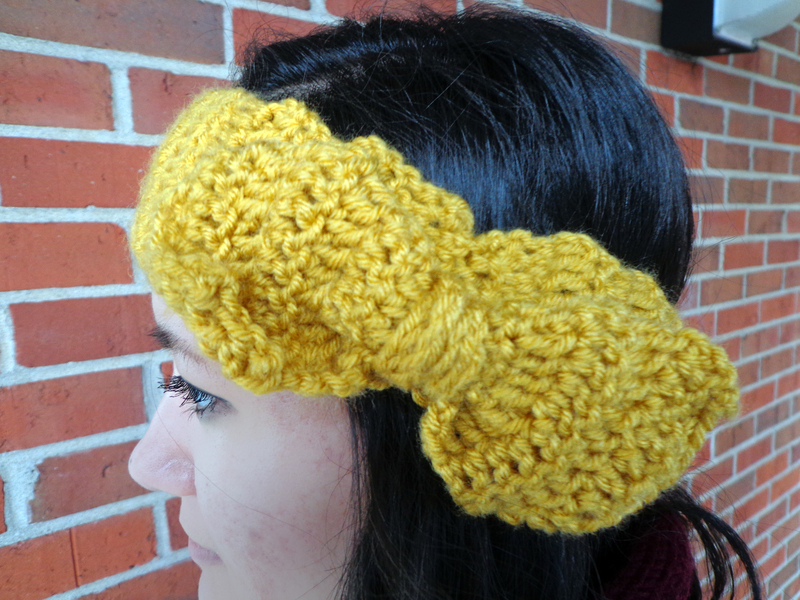 Being in a crochet mood, I decided to whip up a headband using the leftover yellow yarn. To make the bow, I crochet a rectangle and tied braided yarn around the middle. A few stitches to attach it to the headband, and TA-DA!